This is a short list of our most frequently asked questions. For more information about our service, or if you need support, please contact Trawire Support. Place the modem on highest possible point in car/indoors. If you have a USB car charger, plug the modem in while using it. when connected to power it will not reduce signal power to save battery. Please note that some chargers are low powered so it may not charge while in use at the same time. Remove and erase all connection setting on your devices and connect again to the modem. Check your/others phone mobile signal bars (if possible) and compare it to the modem signal. Restart the modem by pressing the Power Button for 10 seconds. Remove back cover, battery and SIM card and assembly again. Restart. Reset the modem by pressing reset button for several seconds with fx paper clip. If you reset the modem it will also change default wifi settings. The reset buttun is behind the battery cover on the modem back. Restart. You should see the new network name and password on the modem screen when power button/WPS/menu button is pressed. Some Android models do not recognise modified network names. The solution is teset the modem by pressing reset button for several seconds with fx paper clip. If you reset the modem it will also change default wifi settings. The reset buttun is behind the battery cover on the modem back. Restart. You should see the new network name and password on the modem screen when power button/WPS/menu button is pressed. Dunkin Donuts is closing. Can I still pickup my modem? Yes of course. The Dunkin Donuts is/was located at Ten Eleven Grocery Store in the Arrivals hall. The store is still there and you will even be able to buy Dunkin Donuts as the production will continue. When your device for some reasons does not work like expected, contact us right away. We generally can not give support or make a refund on things that happened days ago. You can send us a email to support@trawire.com, sms/chat/WhatsApp at +3546517368 or use the contact forms on this site. Please have your order number and modem name ready when you contact us. It’s also very important that you completed the modem activation/registration at hotspot.rent. Why use Mobile Hotspot in Iceland? I have free roaming! It’s about offering unlimited wifi for you and up to 10 of your travel friends, unlimited, everywhere! You can hook-up all your wifi-enabled devices (not just cellphones) to the portable hotspot and use it wherever you go. Roaming with your own service provider does not guarantee unlimited access to Iceland’s fastest network in your car, in the bus, in your tent, while you’re hiking, on your bike and when you’re relaxed in your rented cottage or a hotel room. Foreign roaming access is often throttled (by your own service provider) and you are possibly using up your subscription at home. See our little comparison of available choices here. You can call everyone at home or at work with fx. Skype, Viber or FaceTime. You come home with your phone data plan/subscription unused. Best of all you are still using the telephone number everyone knows. No problem. Ask the staff at Dunkin Donuts for a new one. Your modem has unlimited data as long as it is used responsible. We monitor the usage and inform if people goes to wild. The more aggressively the usage you have there is less for others around you. If you are going wild (more than 20 GB a day) you will be warned with message/email and will be in risk of being throttled or total service cutoff. You can start immediately after receiving the modem. Turn on the modem by holding the power button for more than 3 sec. Most of our modems have SSID/WiFi name and password visible on the front screen. Assembly again and power up the modem again. We ask you to activate the modems as soon as possible after pickup. Why? Because the modem has just 10 mb of data until activated, it’s easier to support you and most important we need to be able to confirm your modem return. So save time and money and go to hotspot.rent to activate. All our modems are rented out with USB cord you can use/charge with your laptop or your own mobile/tablet charger. In more expensive Modem Packages car charger and/or USB wall charger is included. The chargers we provide are high powered so you can hold the modem fully charged while in full use. Is there some security or password protection so someone standing next to me cannot use my wifi? Yes our modems are locked with network name and password. To maintain power. Use high power charger or “rest” the modem if the mobile signal is weak. If the modem is constantly trying to get a signal and on top of that everybody is using data, the battery will drain fast. Some CigarLighter car chargers/car USB sockets are low powered so they will not keep up unless you turn off the modem/reduce usage while charging to full. To maintain signal. Place the modem high and near windows. Keep it plugged in when driving if possible. Move around to catch other/stronger signal. Be aware of that at very crowded attractions, other tourists around you are likely tying to get some signal too. If something does not work. If you found out that our device, cables or other add-ons does not work, use yours (what you might have) and/or contact us asap. We will refund you for your trouble or meet the purchase cost if needed. Read the manual. Remember that some parts of Iceland are so remote that we can’t guarantee any quick fixes unless with Helicopter… which we don’t have ;). Any errors, broken signals or devices not working will be met at the best way possible. Depending on usage the battery should last 4-7 hours. More data – Less battery time. Trawire Business version has 3 times the battery life of the other modems. All modems come with USB cord for use/charge with a laptop or mobile/tablet charger. Help us keeping this low cost and unlimited. Please return all our attached cords and extras. What currencies does Trawire accept? However, since there are currency restrictions in Iceland, currently in effect, the amount due and paid is converted into ISK and will appear in ISK on the credit-card holders statement. What happens if I leave the country with the modem? Well that’s very unfortunate. The modem will not be rentable while in your possession so additional rental charges can be added. If you inform us asap after departure we give you the chance to return by post from your home country. Please ship the modem to: Trawire, Pobox 24, 270, Iceland. Traceable package is preferred so we can monitor the return. Your modem comes in a orange reusable box/envelope Please use the same box for return, Pack it and drop to mailbox (fx at the Airport). We urge our customers to return the modem, fully charged to mailbox at the airport so we can prepare the modem for next customer. We reuse the orange boxes as often we can, When dropped in mailbox at the airport the only one handling our modem is Icelandic Post. When dropped at storefront it goes through many hands and things can get lost as we do not have any return agreement with our pickup location partners. After your plane lands, go through bagage pickup and Customs gate. Head to Dunkin Donuts in the Arrivals Hall, show voucher to cashier. After receiving the modem package, open it and draw out the modem (keep the package for return and look at instructions inside the box). Turn the modem on and wait for its wifi signal (in your device’s wifi-setup). Connect to the modem with the password shown on the screen/in the modem menu (press menu button – see our faq how to see the modem info). 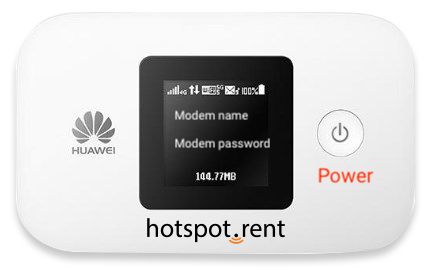 After successful connection, head to www.hotspot.rent/activate to activate and register the modem. Pack the modem and USB cord, Fully Charged, using the same box the modem came in. Deliver it to one of two mailboxes at the Airport (its pre-stamped). One mailbox is in the check-in hall and another one in the main food hall after the security gate. All modems are returned with the same orenge box it came in. Just drop the modem-box to nearest mailbox. There are mailboxes for returning the modem at Keflavik International Airport. One mailbox is in the check-in hall and another one in the main food hall after the security gate. The easiest return method is at the Airport Departure hall (near Icelandair check-in). Who is responsible for the modem return? You are until you drop it to the mailbox. We urge our customers to return the modem direct to mailbox. If handed elsewhere, for example to a hotel front desk or at the car rental, the customer (you) is still responsible for the return process from that point until it reaches Trawire office. Picking up the modem - Please show your Voucher! Direction to selected pickup location is shown on you online voucher. At the end of the order process the voucher is the last page/confirmation page. You also get confirmation email from orders@trawire.com. For pickup you can either print out your Voucher or open in your device and show N1 Gas Station cashiers. You will be asked to confirm order number (4 digits), name on order and selected pickup location. We do always send a copy of the voucher from orders@trawire.com to the email address used in purchase process. Please check you spam mail if email does not appear. You can always contact us and ask us to send the link again. You may be asked to show voucher with your personal ID on pickup destination. On date of pickup and return it is best to meet us on given booking time and location. Your device has been reserved and made available to you. Should you fail to pick up the unit on pickup date, Trawire reserves the right to charge a No Show Fee. How to navigate to pickup points without mobile internet. 1. On your phone or tablet, open the Google Maps app . 2. Make sure you’re connected to the Internet and signed in to Google Maps. 3. Search for a place, like San Francisco . Select pickup and return time as accurate as you can as the modems do not stay very long at selected pickup location. Example: You land at 07:00 am it will take you at least one hour to go through airport. Pickup should been set to 08:00 am. We always monitor usage and will charge extra for any unusual extra usage (being little late is of course ok ;)). We only deliver to hotels within the greater Reykjavík area and only to hotel with a front desk service. For more expensive modem packages you can choose to have the modem delivered to hotels. The hotel has to have full front desk service to receive the modem package and be able to forward the modem package to it’s customers. The customer has to have the hotel permission to receive the modem through their front desk. Included in the hotel package is a prepaid envelope for postal return (drop it in any mailbox in Iceland). You can find locations of mailboxes (postkassar) here. We do not deliver with car rentals. Short answer… no. Minimum $30 is added to orders 3 days or less. There is a 48 hour prebooking limit. You can pickup last minute at Airport without preordering, see www.hotspot.rent. There are special deliver costs within the capital area based on type of delivery. How quickly can I get the rented device? If ordered online beforehand the device will be ready at the designated Pick-Up location on chosen day and time. You will have to specifiy exact location when promted. All preorder requires a minimum 48 hours delivery time. Rates and delivery vary according to item and quantities. You can order and pickup at the Airport without preorder. See www.hotspot.rent for more info. If you are arriving through Keflavik Airport, please allow 1–2 hours in pickup time after you land. Can I return the device early? Yes certainly, but unfortunately we cannot offer a refund or credit for the unused portion of your hire period. Use the included prepaid postal envelope and return the device to the nearest mailbox in Iceland. What if I return the device late? We monitor usage after given return date and time. Unfortunately, you’re going to have to pay a late return fee. The cost will be a standard full day charge for each day the device is late. What shipping costs will be charged? Normal shipping costs within the capital is $15. For the rest of Iceland there will be charged shipping costs $25-45 depending on location if the modem is delivered with the postal service. There is a 48 hour booking limit! But you can still pickup at Airport. We need time to prepare your preorders so we have 48 hour booking limit on our site. But you can order and pay on site at Dunkin Donuts without preordering. See all info at our sister company www.hotspot.rent. Remember to check the terms. Is VAT included on the prices? Yes! All our prices are with VAT. When you place the order, Dalpay, Trawire’s gateway for payments, will validate your credit/debit card and provide an authorisation for the total amount of the charge. If you bring the device out of the country you will be contacted and charged for modem loss if not returned. We accept credit and debit cards – MasterCard, Visa, Maestro, Visa Debit, Electron and American Express. Do you charge a holding deposit? No but we charge you minimum fee for each order. Can under 18’s rent a device from Trawire? We cannot lease modems to under 18’s. However, we recognize that parents may wish to rent a device for their child / children for educational, recreational or holiday purposes and this perfectly fine as long as the standard security conditions are met. If security conditions are met then a parent / adult must be the guarantor for the rented device. The parent / adult must book the device and we will require a deposit equal to the value of the device before we release it. This will meet the conditions of our insurance company. Yes no problem. Just go to Hotspot.rent Extra Days. Any questions? Send us email to orders@trawire.com. I'm arriving last minute - How can I get modem? After your plane lands, go through both baggage pickup and Customs gate. Head to TenEleven Grocery Store in the Arrivals Hall, order and pay on touchscreen, show voucher to DD cashier. After receiving the modem package, open it and draw out the modem (keep the package for return and look at instructions inside the box). Turn the modem on and wait for its wifi signal (in your device’s wifi-setup). Connect to the modem with the password shown on the screen/in the modem menu (press menu button – see our faq how to see or access the modem info). After successful connection, head to www.hotspot.rent/activate to activate and register the modem. If you are arriving through Keflavik Airport, please allow 1-2 hours in pickup time after you land. Cancelling a order on same date the hire is due to start is treated as No-Show. If you cancel the order by contacting us and/or if no formal cancellation is received the No-Show fee is 100%. If you cancel an order more than 28 days before your hire period is due to start, then again there’s no cancellation fee. However, if you want to cancel an order less than 28 days before your hire is due to start, there’s a cancellation fee of 25% of the hire charge, rising to 50% of the hire charge if you cancel less than 14 days before your hire is due to start. If you cancel less than 2 days before pickup there is no refund as your modem has been prepared. There are no refunds on early returned orders. Extra delivery options, purchased with order are non refundable if cancellation is placed less than 7 days before arrival. Does it matter what return time is selected? More accurate is better. We monitor usage so if we see a lot of usage after given drop off time we could ask the reason for it. Each rental day is calculated as 24 hours. Whole new rental day is added after the first hour of next day is selected. Can I hire more than one devices at a time? Yes. Online you can almost order as many as you want (100). For special discount for multiple devices (+10) you can send us a email to orders@trawire.com in order to receive a quote and is subject to availability and season dependent. When does the rental period start? The official rental period begins from selected date and time on your order. The rental period ends when you return the device, at the Airport. The delivery is not included in the calculation of the rent so you only pay for the first day / calender day for the use of the device.